Versatile Fighting Arts is a traditional martial arts school designed for today’s world. Our focus is on concepts and ersatile Fighting Arts is a traditional martial arts school designed for today’s world. Our focus is on concepts and principles as well as techniques and applications. The goal of Versatile Fighting Arts is to equip the student with skills and abilities that will enable the individual to defend and protect against harm from others while at the same time developing the spirit, mind and body. 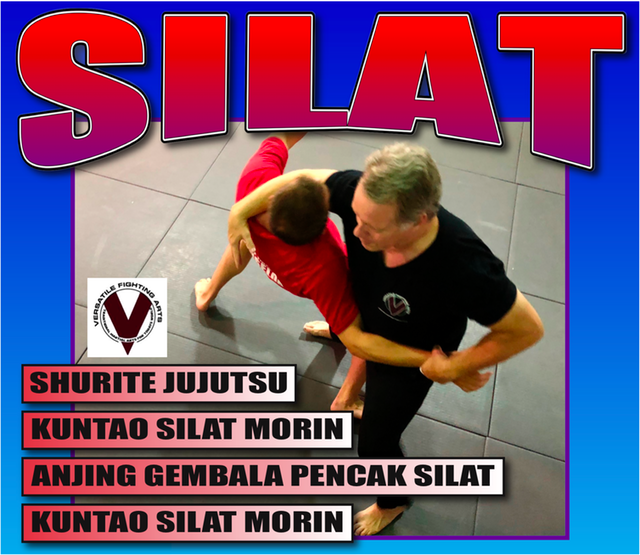 We teach an eclectic blend of jujitsu and kuntao silat. In each case, we bring out differences and similarities so the student has a full understanding of their art. We teach footwork, postures,entrances, striking, locks, grappling and holds.